200 years ago the building was a stable block for the Haywards Heath stagecoach. Stable boys slept in the loft – the hatchway is still visible and in Paddock Lane was the “turning circle” for coaches. Later the building fell into disrepair until 1946. 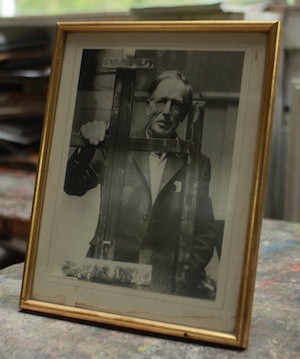 Cecil Heathfield was at the time Art Advisor for the area. He believed passionately that art was for everyone. He bought the derelict building and despite post-war restrictions and the astonishment of his family, turned it into a studio and home for himself and his wife Evelyn. Cecil started groups in the district, encouraging people with their art work, for which he held exhibitions at “Paddock Studios”, thus enabling ordinary people to exhibit, who otherwise would not have the opportunity. 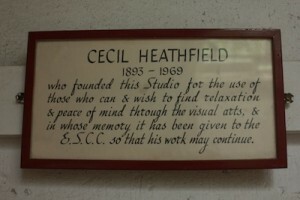 Cecil’s brother Pip, a graphic designer, and his wife Meg, later joined him and all lived at the Studios, known then as the Cecil Heathfield Centre. A plaque commemorating this period can still be seen in the Studio. After Cecil’s death in the 1970’s, Evelyn handed the Studio to the County Council; she died shortly after. However the Council were unable to satisfy the aims of the legacy, and rather than let it deteriorate again, a Committee of Trustees was formed, as Lewes and District Visual Arts Association. LADVAA still owns and maintains the building. Pip and Meg continued to live in the adjoining flat. After Pip died, Meg stayed until only a few years ago. Meg recently passed away, but she always spoke with great affection of the Paddock and all it stands for – not least the well-stocked half-acre garden which she and Pip made from “just brambles”. The garden is a unique asset which provides inspiration for outdoor painting. It is now maintained voluntarily by LADVAA members, although someone is paid to mow the lawn! 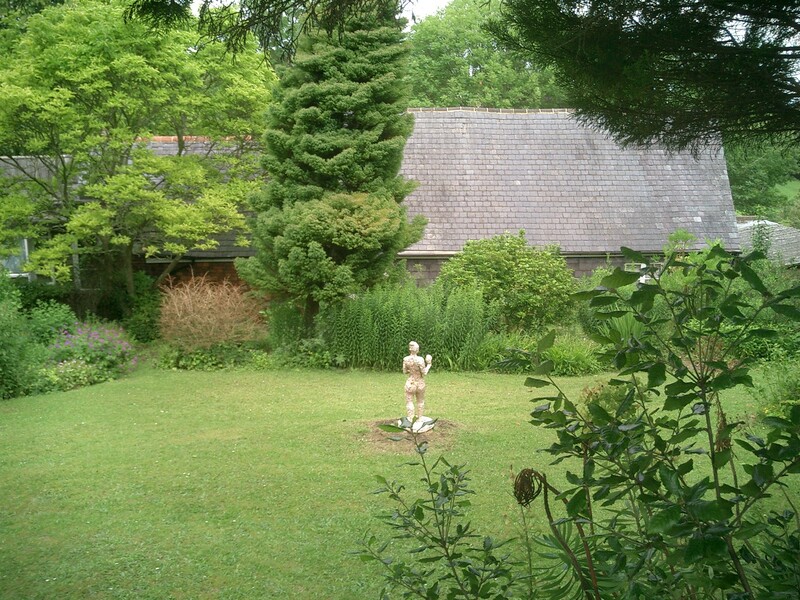 People feel a very peaceful atmosphere in the garden – Meg said “It’s the love that went into it”.